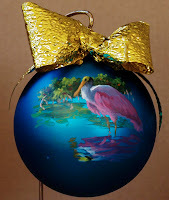 Visit me today at Sabal Palm Gallery 2 - 5 pm. Sip Apple Cider, nibble cookies and pick out unique, art-inspired gifts for everyone. 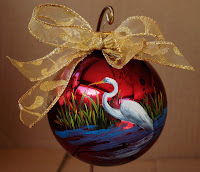 I have painted more ornaments and have all three available: White Egret, Tom Turkey and Roseate Spoonbill. Horse Fever mugs have arrived! "Horse Feathers" by me and "Brick City" by Margaret Watts would make great stocking stuffers. Of course, there is a wide selection of paintings, prints, note cards, and post cards. Receive 20% off your total purchase AND get a $10.00 gift certificate as my Thank You for your support and patronage. 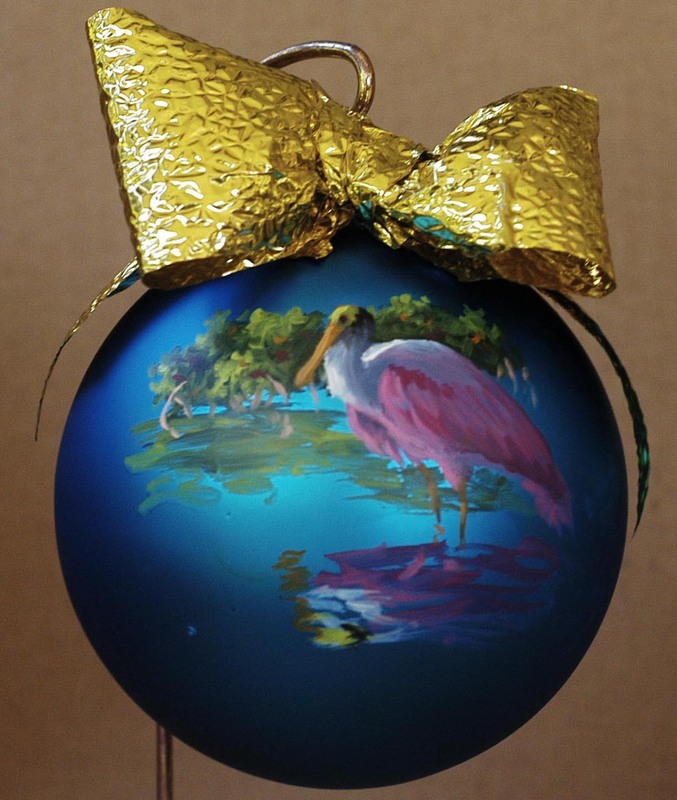 Sabal Palm Gallery is offering 20% off everything!! 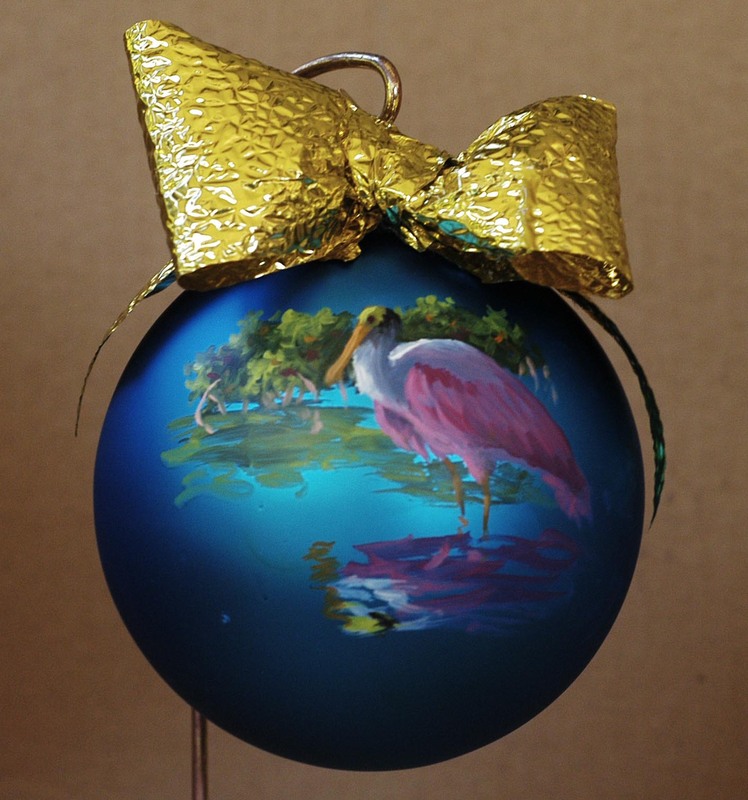 The gallery has been turned into a Holiday Boutique filled with Original Paintings, Fine Art Giclee Reproductions, Hand-Painted Christmas Ornaments, Mugs, and Note Cards. Now is the time to get unique art-inspired gifts for everyone on your list and enjoy saving 20% off of your total purchase. The sale runs through December 23, but shop now...when these hand made items are gone there will be no more. 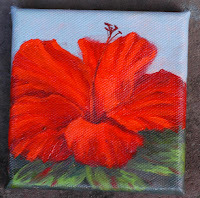 Gallery East in Bellview on HWY 441/27 has invited me to be the Featured Artist this month. I will be at the Opening Reception this evening 5 - 7 pm. This is a Co-Op with a great group of artists. Their gallery is filled with everything from paintings to jewelry and sculpture. 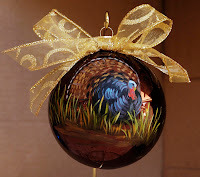 Be sure to stop in during the holidays, I am confident you can find that perfect gift for everyone on your list. I won't have my Christmas Ornaments at the show but you can get them at Sabal Palm Gallery in Ocala. There are just a few left, so contact me and I will hold one for you. Tom Turkey is painted on a luscious reddish-brown glass ornament, Great White Egret on a deep red glass ornament and the Roseate Spoonbill on a beautiful blue glass ornament. All have gold ribbons and are approximately 3 1/2 inches in diameter. Moisture or himidity and high temperatures may adversely affect the finish. If soiled use soft, dry cloth to clean surfaces. 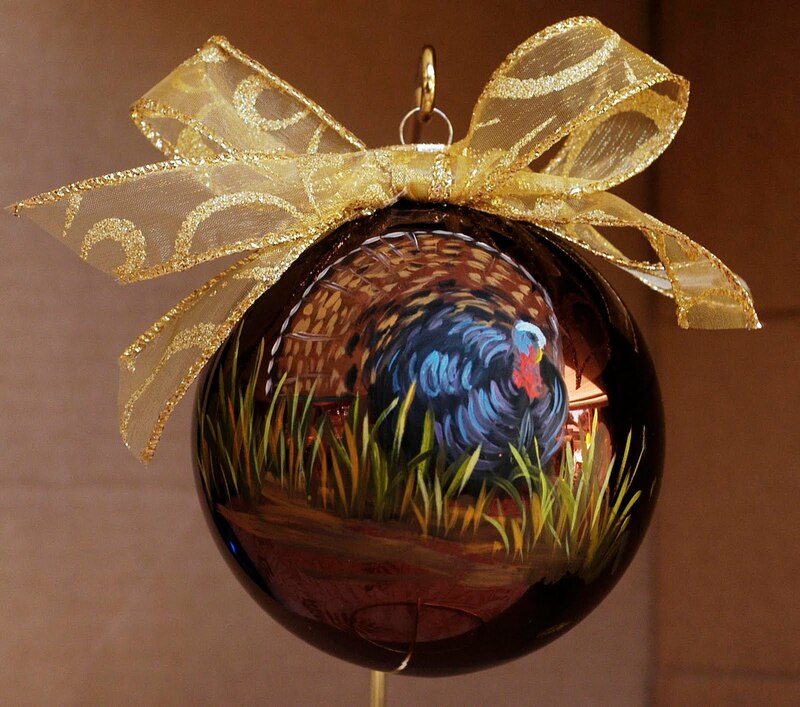 The cost is $40 each, the same as last year, plus shipping and sales tax. 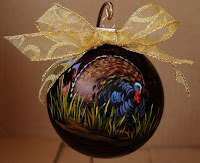 Contact me now with your order so they will arrive in time for you to use in your decorations and/or give as presents to everyone on your list.